After the credit crunch really began to take hold banks really began to cut back on the number of business loans they would make, especially to small businesses. The situation has yet to improve very much and that has meant that more and more businesses, especially smaller and start up business are relying more and more on business credit cards to help them stay afloat. Established businesses still usually like to use business credit cards because of the rewards they offer. It is important though that a business owner understands just how business credit cards work before applying for one. Here are the answers to some frequently asked questions about business credit cards. I only have a small business right now, couldn’t I just use my personal credit cards rather than applying for a new business credit card? Using your personal credit card for business purposes is a very ill advised move and for a number of reasons. If you incorporate a business the business is then responsible for any debts accrued which helps protect a business person’s personal assets to a great degree. If you use your personal credit card for business expenses those debts are not covered by such protections and in the event that things go bad and you are carrying a lot of business related debts on your personal plastic you will be responsible for paying it all back, whether the business is still in operation or not. A small business also needs to build up a good credit profile in its own right but using a personal credit card for business only serves to affect the individuals credit, it does nothing for the business. That means that even if you make perfect on time payments each and every month your business will gain no benefit from it and will still essentially be lacking any real credit profile at all, something that will really hamper business growth. The reverse also holds true though, you should really never use a business credit card for personal uses even if you are a one man or woman band at the moment and have no other employees. Not only will separating up the expenses into business and personal create a real accounting headache but the IRS will frown on the practice as well and that is the last thing any small business needs. I am about to start a business and need a business credit card. My personal credit score is only 630. Will I be able to get a business credit card at all? At 630 your credit score just places you in the fair credit range. The first business card you are issued will be approved (or turned down) in part on the state of your personal credit as well as factors like how long the business has been in existence and what the current state of its finances are. If you have fair credit there are still a number of good business credit cards available from reliable, reputable lenders that you should be able to qualify for. These cards may not offer the lowest interest rates or the most perks but they will help your business build a better credit profile while providing a source of funding for emergencies. Once you have built up your businesses financial reputation you can switch these basic cards for some of the other, more attractive business cards. There are some business credit cards for fair credit that do offer more than others though, including a lower APR than most or a rewards program and it often pays to shop around a little to get the best possible returns on your business credit card spending. Are 0% APR Offers Always a Good Bet? The answer to that question is maybe but a 0% APR offer should never be the only reason you choose a certain business credit over others. 0% APR offers are nice if you intend to carry a balance on your business credit card from time to time but if you intend to pay off balances every month (the best practice) then a card’s APR is pretty much irrelevant. In addition some people are so seduced by a great 12 or 18 month 0% APR they overlook the fact that the regular APR is somewhat higher than other cards, which can come as a nasty surprise. Some bushiness credit cards do offer an exceptionally long 0% APR period though, some for as long as 24 months. In this case some business owners will take the risk that the eventual APR is higher and take advantage of all 24 months of interest free credit and then transfer any remaining balance to a different card that offers a lower APR. that tactic will usually only work for businesses with a good credit recast though who can be pretty sure that they will be approved for a different card in time. Which Are Better – Travel Rewards or Cash Back Business Credit Cards? This is another question that has no real definitive answer as different companies have very different needs and will benefit from a certain type of card that may not be suitable for another company. Gas rewards credit cards are great for a company that has a number of employees that use the company credit card for gas – sales people, delivery drivers etc – but if the furthest any of a company’s staff ever have to travel for business purposes is half a block to the nearest Starbucks then that 3 to 5% cash back that can be earned on gas purchases is virtually useless. They may be better off with a good cash back card that awards 1-2% cash back on all purchases, or one that rewards extra points to a different category like office supplies. Travel rewards can be even trickier. If a company really does spend a lot on travel then they may indeed get an awful lot from choosing a travel rewards business credit card but they do need to make sure that the rewards available will really be of use to them. If most business travel involves employees driving from location to location then a straight air miles card may be a bad choice. A good balance can be achieved if you choose a business credit card that offers flexible redemption options. 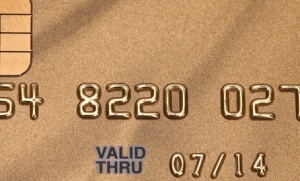 A number of business credit cards now offer rewards that can be redeemed as cash back or merchandise and travel credit and a few even have a rotating calender of higher earning categories that change every month so that by the end of the year you may have been able to earn as much as 5% cash back on purchases each and every month.